Preschool of the Arts is located within the Center for Jewish Life and is one of just a few Reggio Emilia preschools in the greater Charleston region. We maintain a safe, healthy, nurturing, and engaging environment for children, where all social, emotional, and cognitive developmental needs are addressed. Opportunities are provided for children to take responsibility, make decisions, and learn through play in mixed-aged classrooms. We help children see the interrelationships of things and ideas by focusing on the relationship of the fine arts to nature, science, math, music, and communal interaction. 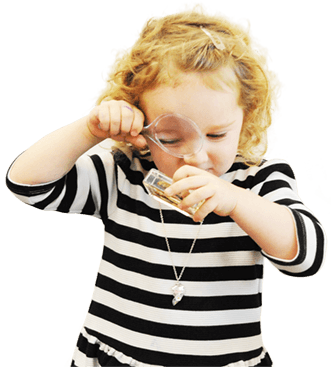 We encourage children to ponder, investigate, and create as a way to make meaning of the world around them. Our classrooms are thoughtfully planned learning environments that invite children to explore and engage in the world around them. Our curriculum focuses on the growth of the whole child. It is a map that our children will use to travel throughout their early years. At Preschool of the Arts Charleston, activities are structured within a choice board concept to guide their social development. 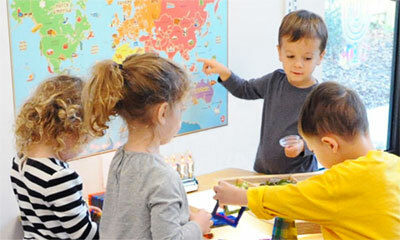 At Preschool of the Arts, activities are structured within a choice board concept to guide their social development. A child is capable and competent. The teacher is present and in tune with the classroom. Self-worth is the foundation of learning. Connecting with nature is a daily practice. Art is an essential learning tool. Designed by Salvatore J. Familia Tripura, INc.